What do you do at Homer Drug Co.? I’m a certified pharmacy technician and a certified therapeutic shoe fitter. As a pharmacy technician I personally prepare prescription orders accurate and efficient, verify prescription information and dosage, enter patient and order information into the pharmacy system, process and submit insurance claims and provide quality customer service to patients and other healthcare providers. As a therapeutic shoe fitter I personally work directly with patients and health care providers to evaluate patient needs, formulate a treatment plan, and provide follow-up care to assure the overall welfare of the patient. I measure and mold three pairs of heat moldable insert to each patient feet to insure accurate fit. What’s your favorite part of working at HDC? 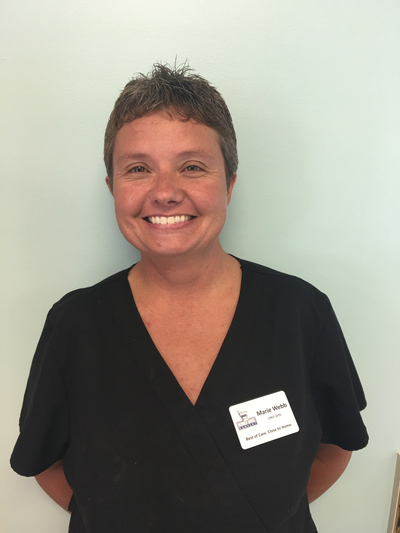 I love working for Homer Drug because I get to have a relationship with the patients and feel that I make an impact on the patients that I serve on a daily bases. The most valuable thing that I think we offer to our patients is our sync program.